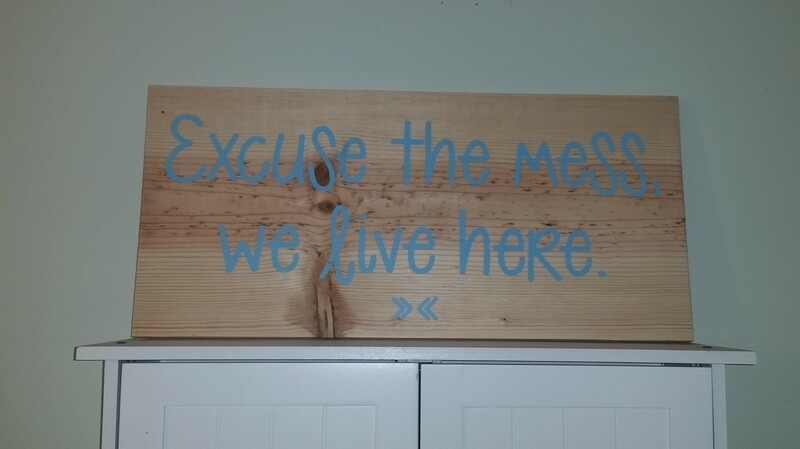 Excuse the mess, we live here wall decal. This was created by me and most definitely FOR me :) Our house is not a showroom, but a place where we do life together. That includes a lot of laughter, quite a few messes, a little bit of chaos and a bunch of love!